It’s impressive how quickly 12 months can pass by. This time last year, I was trying to work out how to both get to the Islay Festival of Malt and Music – Fèis Ile to its friends and about 50,000 Scottish gaelic speakers – and travel around the island once I got there. My companion during this ‘planning’ was a dram from the Scotch Malt Whisky Society, their first bottled in celebration of the festival. 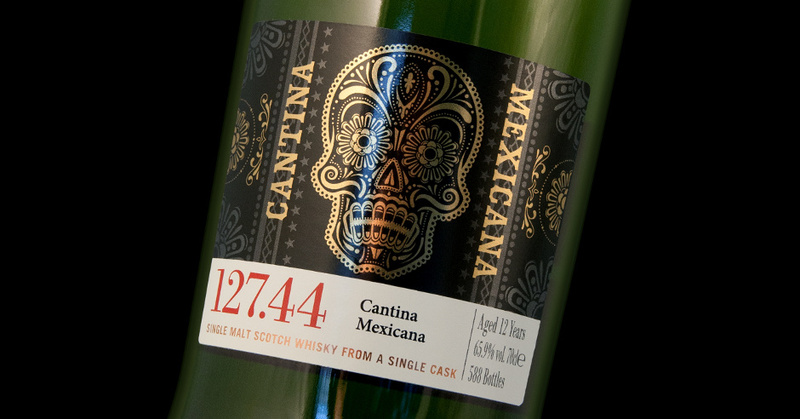 This year I can’t make it to Islay, so instead I’m looking at other people’s plans with a new whisky compantion – the SMWS’s second festival bottling, 127.44: Cantina Mexicana. While Islay’s distillery’s have been releasing special editions in honour of the festival, it’s only in the past few years that the independent bottlers have got in on the game. The SMWS joined in with the festivities for the first time last year and their whisky was a huge hit – by the time I turned up on the island, just a couple of days into the festival, the society’s Land Rover full of whisky was already looking rather empty, and the festival bottling was sold out. Now they’re back, with a whisky that’s as punchy as last year’s, but in quite a different way. Along with the whisky’s name, the SMWS label their bottles with two numbers: the first is a code for the distillery, the second the number of the release from that distillery. While 127 is a fairly recent addition to the society’s list, with the first bottling appearing in late 2010, there have been a surprisingly large number of releases – 44 in about 5.5 years is nine bottles a year. With one set of bottles being released each month, there has been a 127 in almost three quarters of Society outturns in the past few years. Distillery 127 is also not actually a distillery – it’s Port Charlotte, heavily peated spirit from Bruichladdich. 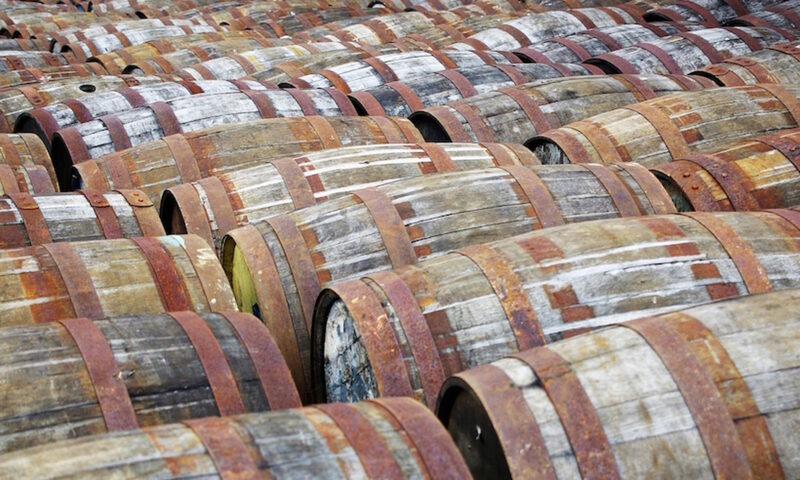 This gives some explanation to the large number of casks that have appeared – in the early days after the distillery’s 2000 reopening, they needed money and sold lots of new-make spirit. The SMWS look to have been a good customer, and so far the 44 casks are split fairly evenly between 2001, 2002 and 2003 vintage spirit. It’s fortunate that they did buy a lot, as over the coming years it’s probably going to get harder for the SMWS to pick up casks of whisky. They went independent last year, with a group of investors buying the company from previous owners LVMH – Louis Vuitton Moët Hennessy. While LVMH will still be supplying them with both Glenmorangie and Ardbeg – as revealed to Anton in an interview with Bill Lumsden on the blog last month – it takes more than six casks of Ardbeg a year to keep the society supplied with smoky whisky. They’ll need to fill in the shortfall somewhere and peated spirit is notoriously hard to get hold of at the moment. However, so far the new SMWS bosses seem to have enough contacts and sway in the industry to keep a supply incoming. Nose: Spiky and powerful – it jumps out even before you get your nose to the glass. It kicks off with crashing sea spray, buttery icing, creamy porridge sprinkled with white sugar and a background of tarmac, burning heather and ferns. Liquorice, fennel and aniseed notes build, along with charcoal, bbq sauce and a hint of cheesecake. Water adds more smoky bacon, but leaves the power almost intact. Taste: Intense and eye-watering, a combination of the ABV and the huge amount of flavour in the dram. Hot spice hits the tastebuds first: cinnamon, anise and freshly sliced green chilli. As you recover from that, dark and sweet black liquorice creeps in, along with bitter char. Behind everything is a rich layer of charred oak and abandoned beach bonfires. As it sits in the glass, menthol-heavy flavours develop – super-strong Lockets and original Hall’s – as well as pine needles, salted caramel sauce and black pepper. Water is almost essential and dials back the initial heat, as well as revealing even more liquorice and touch of sour cream. Finish: Numbing menthol and lingering burning leaves. It takes water well and I’d advise adding a good slug – this is one of those whiskies that can almost be used like cordial. Character-wise, it’s exactly what you’d expect from a society Port Charlotte: intensity, smoke and sweetness with a hint of cream cheese – a note I often find in Bruichladdich distilled since the reopening. The sherry cask doesn’t dominate and is very much a supporting player, letting the spirit shine. A bit of a monster, but one that rewards examination. The whisky isn’t out yet, and launches at Islay House on Friday 20 May, the first day of Fèis Ile. For those of us not on the island, it hits the online store on Thursday 26 May and UK members’ rooms on Friday 27 May. It’s not cheap, but the members’ price is less than the going rate for independently bottled PC’s, making it a pretty good deal. While I won’t be going to this year’s festival, I will be popping in to the SMWS London rooms a few times during the week – it’s not quite the same, but it’ll definitely do. You can find more details and SMWS ambassador Phoebe’s take on the whisky here. Annabel Meikle liked this on Facebook. Michał Reimer liked this on Facebook. Ryan Chetiyawardana liked this on Facebook. Dario Grabaric liked this on Facebook. Rafał Kruk liked this on Facebook. Slightly mad, in a good way. Kam Patel liked this on Facebook. Rich Howard liked this on Facebook. Me neither Billy. Let’s organise a “can;t get to Islay this year” consolation tasting! Ha! Marbella cuts to The chase!! “OK so you can’t go to Islay – How’s the damn whisky?! ?” lol!! Toru Suzuki liked this on Facebook. Nathan DeTienne liked this on Facebook. Łukasz Kreft liked this on Facebook. Simon Hanna liked this on Facebook. Next PostNext Inchdairnie Distillery – Part One: Who?